Japan-based Epson, a leading manufacturer of computer printers, and information, and imaging related equipment, has launched the LightScene EV-100 Series, a new type of projector that expands the company’s presence in the signage and lighting sector. With a sleek, low-noise design, available in black or white and created to blend into the background, the 2,000-lumen WXGA EV-100 can work as either a projector or a spotlight without distracting viewers from the subject, said a statement. The LightScene EV-100’s unobtrusive design is ideal for curated visual environments such as retail showrooms, shop window displays, museum exhibits and art installations, where minimal visual clutter is key, it said. It can be used to provide information, show video or moving patterns, and even projection map imagery onto small objects, it added. “I’m very pleased with a design that manages to be stylish and visually unobtrusive, without compromising performance, versatility or reliability,” he added. 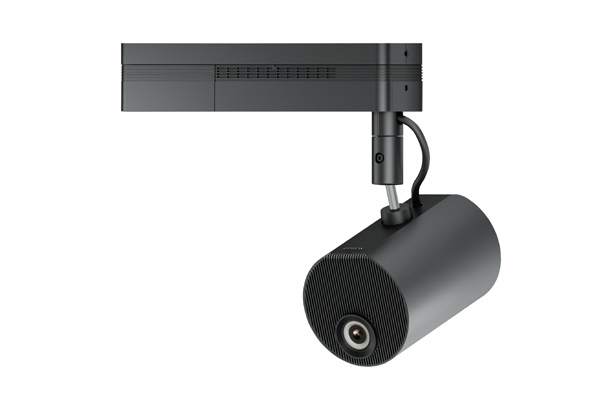 Epson’s flexible laser technology gives the EV-100 a huge variety of mounting options – it can project from any angle, and can be ceiling-mounted, floor-standing or attached to a lighting track, all without requiring specialist installation or set-up. It is also capable of projecting in portrait, and multiple units are capable of edge blending for larger displays. The LightScene EV-100 is supplied with Epson Projector Content Manager Software, which allows single or multiple playlists to be easily loaded via SD Card and changed using remote control by employees, with no need for a computer. The software also allows you to add overlay effects including colour and shape filters to permit tinted and irregularly-shaped images, as well as creating and editing playlists, timetables and custom filters.